The Catcher Was a Spy could have been an excellent film. It has every beguiling element needed for a gripping espionage thriller, but sadly falls flat with its placid direction. An all-star cast of veteran actors deliver sufficient performances that fail to resonate. This is because the component parts do not mesh together for a cohesive narrative. It's a shame. The story of Morris "Moe" Berg is truly incredible. This adaptation of his life does not live up to or offer any real insight into a fascinating man. Moe Berg (Paul Rudd) was a catcher for the Boston Red Sox during the twenties and thirties. Never a superstar, Berg was still good enough to play major league baseball for fifteen years. Behind the athletic prowess was a secretive, but deeply intellectual mind. Berg held advanced degrees from Princeton and Columbia. He was a gifted linguist who mastered seven languages, but could actually speak four more conversationally. Berg was widely read and had an uncanny ability to absorb information. Berg's genius made him alien to the other players. He was an enigma to his doting girlfriend (Sienna Miller). No one could really grasp his true emotions or intentions. When the Japanese bombed Pearl Harbor in 1941, Berg went to Washington DC to offer his insights. He had just come back from playing exhibition baseball games in Japan. General Bill Donovan (Jeff Daniels), a former baseball player himself, was impressed with Berg's abilities; particularly his acumen for languages. Berg is recruited into the OSS, the precursor of the CIA. He wiles away in obscurity until chosen for a top secret mission. Target Werner Heisenberg (Mark Strong), the Nobel Prize winning physicist and head of the Nazi atomic weapons program. It's astonishing that the US government sent a baseball catcher to hunt down Germany's most important scientist. The race to the atomic bomb meant victory in the war. The military obviously had faith in Berg to accomplish this critical task. Based on the book by Nicholas Dawidoff, The Catcher Was a Spy never delves into Berg's psyche. The film alludes that his closeted homosexuality was the primary reason for his reserved countenance. It addresses the issue strangely. The Catcher Was a Spy acknowledges that the government knew, but didn't care as long as they got results. The film then skirts Berg's deep dark secret like an afterthought. It's a bizarre tact to a key piece of Berg's personality. The script by Robert Rodat (Saving Private Ryan) jumps around in time. This segmented approach to Berg's story lessens its impact. Director Ben Lewin does not weave the threads together in an artful way. The film looks like a historical recreation you would see in a humdrum documentary. Scenes that should grab you feel cold. This is disappointing because the cast is so talented and versatile. Guy Pearce, Paul Giamatti, and Tom Wilkinson have critical supporting roles in the The Catcher Was a Spy. Their efforts are wasted by Lewin's blase direction. 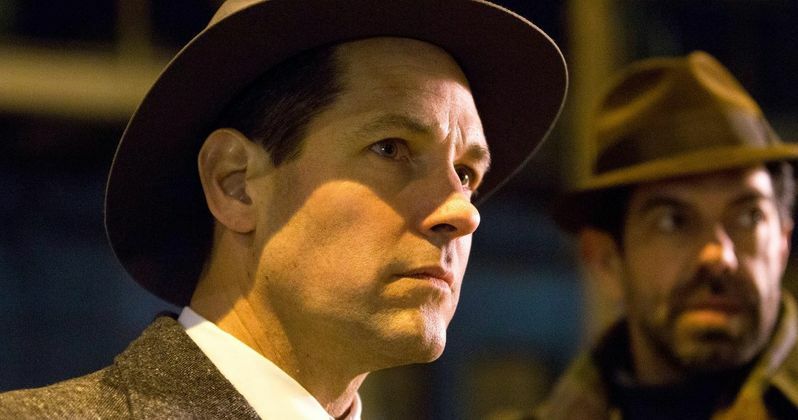 Paul Rudd's portrayal of Moe Berg is plastic. We get a veneer of the man. He plays the outsider quotient well, but nothing more insightful. Rudd's known for his comedies (Clueless), and is certainly enjoying a resurgence as Ant-Man; but Rudd's dramatic ability is gravely underused here. I've seen the actor excel in heavily dramatic stage plays and independent films. Rudd is a gifted actor. Once again, I chalk up the lack of depth in Rudd's performance to Lewin's direction. From IFC Films, The Catcher Was a Spy is a missed opportunity. We learn about Moe Berg's extraordinary life, but nothing about the man. His brilliance, courage, and patriotism are evident in his bold actions. But Moe Berg buried his sexuality and Jewish upbringing. A man of his complexity must have been introspective. The Catcher Was a Spy just scratches the surface.